Bandhavgarh National Park Tour takes you amidst the blend of sandstone hills of Vindhyas and green forests of the Central India. 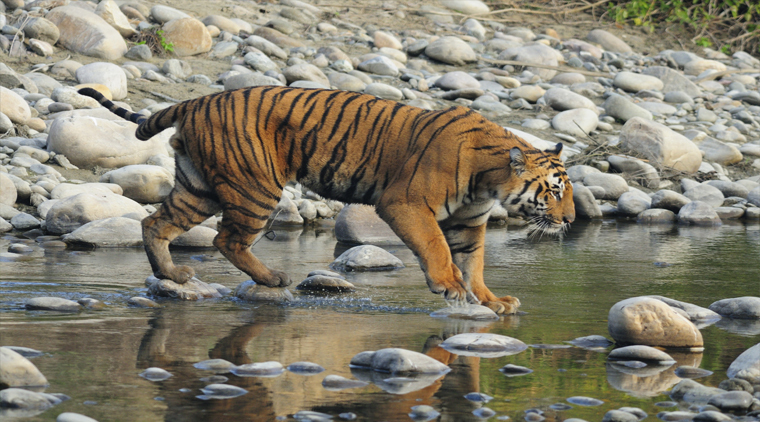 Bandhavgarh National Park Tour takes you to Bandhavgarh where you would see royal Bengal tigers roam freely as the undisputed lords of their territory. 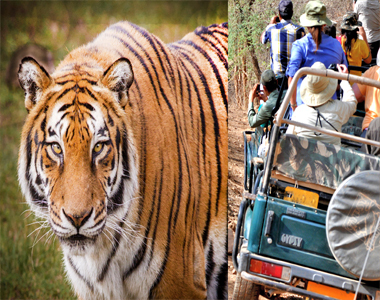 Bandhavgarh National Park Tour takes you amidst the blend of sandstone hills of Vindhyas and green forests of the Central India.Bandhavgarh National Park Tour takes you to Bandhavgarh where you would see royal Bengal tigers roam freely as the undisputed lords of their territory. Bandhavgarh National Park in the region is the place with distinctive charm and highest density of tigers that are counted among the critically endangered species. 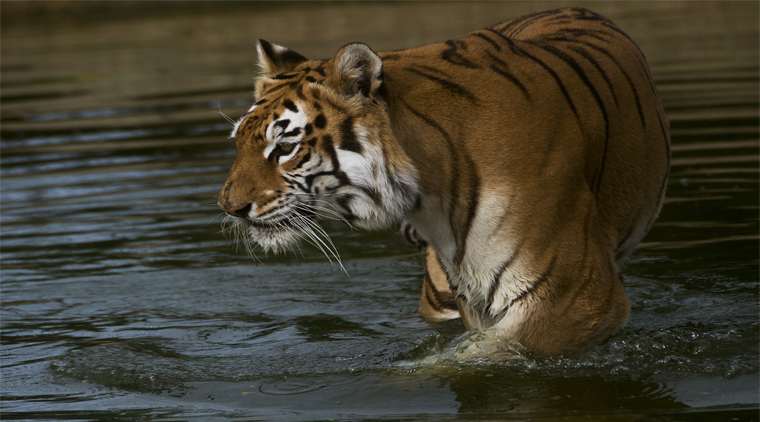 Select Bandhavgarh National Park Tour to be in the same space as these majestic creatures and have the most fulfilling wildlife safari experience while staying at best of the resorts. The closest access points to Bandhavgarh National Park include the railway station at Umaria (25 km.) and the airport at Jabalpur (about 210 km.). The tour begins as you arrive at one of these points, where our representative shall be waiting to welcome you. Please note that the transportation from Jabalpur Airport to the eco resort will cost you extra while the transfer from the railway station is free of cost. As you drive towards the resort, feel the thrill building up inside. In case you prefer to visit the resort of your own, we will welcome you at the resort. Check in on arrival and take some rest. The exhilarating jeep safari begins and takes you through the nature’s marvellous settings, promising rendezvous with one or more tigers. You may also discover animals like wild boar, chausingha, sambar, nilgai and others. Get back to the resort and spend remaining day at leisure before the dinner is served. As the day begins, wake up and have tea. This is the time for another jeep safari tour to spot the royal beast inside the jungles. 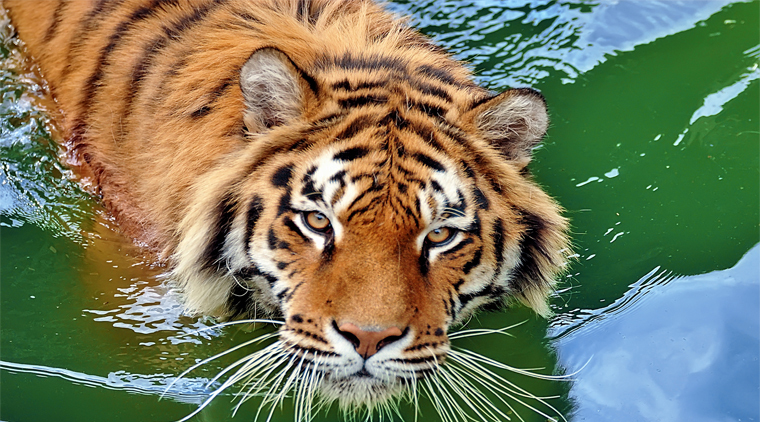 Be ready with your cameras to shot the tigers and other residents of the forest. As the safari tour ends, get back to the resort and enjoy lunch. You are free to plan excursions to the nearby attractions which include Chenchpur Waterfall, Baghel Museum and the picturesque dams of Gharpuri and Bhamera. Please note that the sightseeing tours to these places shall cost you extra. Return to the resort and enjoy dinner. Bid adieu to the resort and the wonderful forest area after breakfast. We will transfer you to the Jabalpur Airport or Umaria Railway Station for the connecting journey to your preferred destination. It marks the end of the tour. 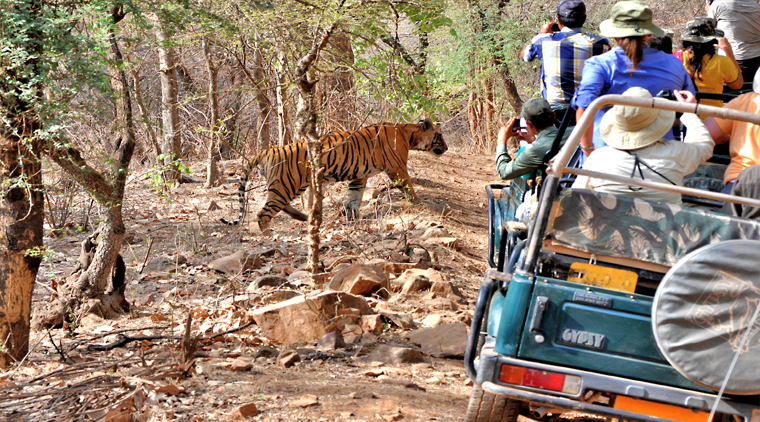 Pickup & Drop between Umaria Railway Station & Bandhavgarh National Park for 4 and above pax. The Costs do not include any beverage or food ordered apart from the set buffet meals served for Breakfast, Lunch & Dinner. Cost also does not include Airport Transfer between Jabalpur Airport and Bandhavgarh National Park.